He uses cutting edge diagnostic technology to create a 3D virtual reality scan or "cast" of your foot. Paired with Dr. Cohen's knowledge of biomechanics, gait patterns, and dysfunctional lower limb kinetic chain movements, he will ensure the orthotics made for you are TRULY CUSTOMIZED. Unfortunately, orthotics are commonly not made properly, and he often checks his patients' previous orthotics from other providers and learns that they could have been made better. 1. Did they make you feel like you were walking on a cloud? 2. Did you feel an immediate improvement in symptoms or think "wow, that's a lot more comfortable" as soon as you put them on? If you answered "no", then chances are they were not ​​truly customized for YOU. Custom orthotics are available for most of your needs. Ask Dr. Adrian Cohen, Toronto’s chiropractor about how he can make a perfect pair of custom orthotics for you in Toronto. Get relief from foot, ankle, knee and lower back pain with custom orthotics in Toronto. Set up an appointment to get $50 off on first consult for Custom Orthotics. Toronto Chiropractor Dr. Adrian Cohen provides chiropractic care at his North York clinic. 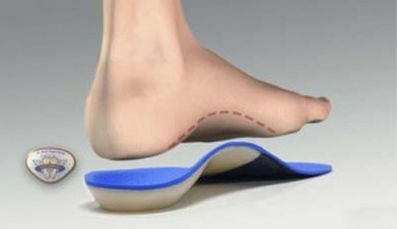 Call 647 696 5251 for Custom Orthotics in Toronto.